At GreenThumb Barnet & Chigwell our team consists of 11 staff, including 6 professionally qualified Lawn Advisors. We treat over 6,500 lawns each year, with each customer generally receiving at least four seasonal lawn treatments annually. As well as seasonal treatments, we offer autumn/winter treatments, including scarification and hollow-tine aeration, which deal with compaction, removing thatch and keeping moss at bay. We also carry out specialist treatments for fungal diseases, such as Red Thread, and Nematode treatments for lawn pests, such as Leatherjackets and Chafer grubs. As the lawn treatment company of choice in the area, we combine high quality exclusive products, with a knowledgeable, efficient, reliable and friendly service. 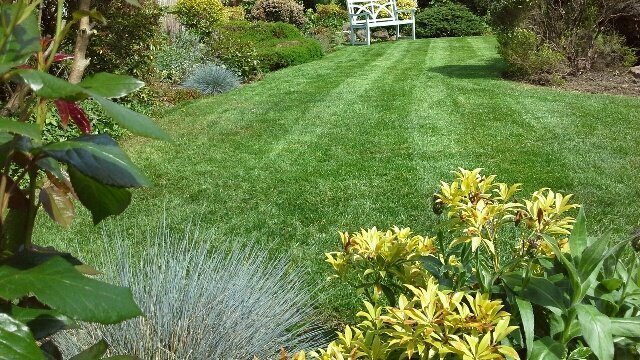 So, for a lush, green, weed-free lawn you can be proud of, call us today for a free, no-obligation quote and survey. GreenThumb ae very thorough and reliable. My lawn looks much better thanks to their range of different fertilisers, weed killer and scarification and other treatments. I have been using GreenThumb for a number of years. Always extremely happy with product use and staff. Always very punctual, friendly and professional. My grass looks amazing. Always getting compliments about my lawn. Thankyou very much for your lovely review. We are really pleased to hear that you are happy with the service and that you lawn is looking amazing! GreenThumb are a highly efficient team who produce the results promised. They are always a pleasure to work with, have the personal touch (no automated recorded phone instructions)! Give complete satisfaction to their customers. Hi Rosa, thankyou for your lovely review, We are all really pleased with how happy you are with the service and appreciate the feedback. We have used GreenThumb for over 10 years and they have done wonders with the lawns at both of our houses. 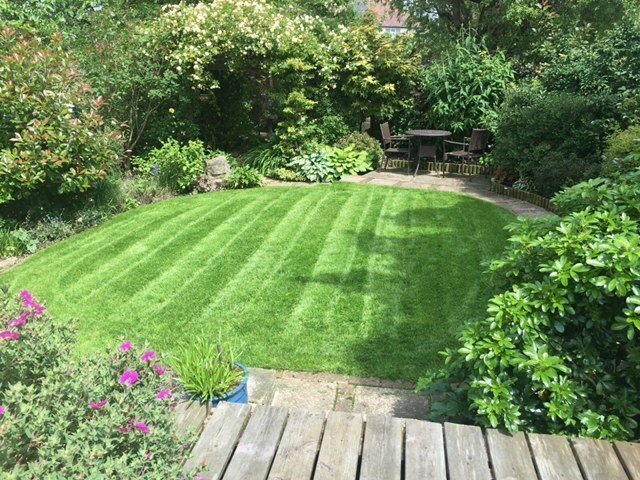 Hello Michael, Thankyou for your feedback, We are really pleased to hear that your lawn is looking great and you are happy with the service we provide! Really delighted with GreenThumb! Lawn looks amazing, even after heatwave! 10 out of 10. 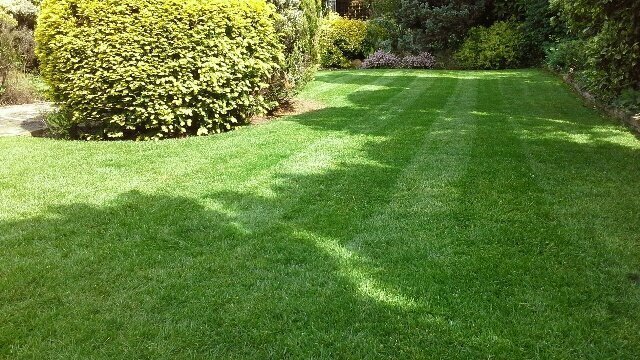 Thanks Mary, We are really delighted to hear you are enjoying your lawn and it's looking good! I've been using Green Thumb for years-in Bristol & now in London. Whoever comes on the day is friendly & efficient-and my lawn is looking good! I have been using GreenThumb for a number of years now. When I first called them in, I didn't think they would be able to do anything with the lawn as it was in such a bad state. They assured me that it will improve. And it did but I have used their aeration programme but I have a scarifier. With their help and my mowing and watering in dry spells it is now in very good condition, and I've got stripes! Thank you Ray, we are glad you have been pleased with the service provided. We are always very happy to hear such positive feedback from our customers. GreenThumb have rescued our lawn from miserable to very good by routine maintenance correctly applied. They always listen to concerns & address treatment based on discussion at the time if appropriate. Hi Lynn, thanks for taking the time to leave us a review, we are pleased your lawn is happier since we have been treating it.